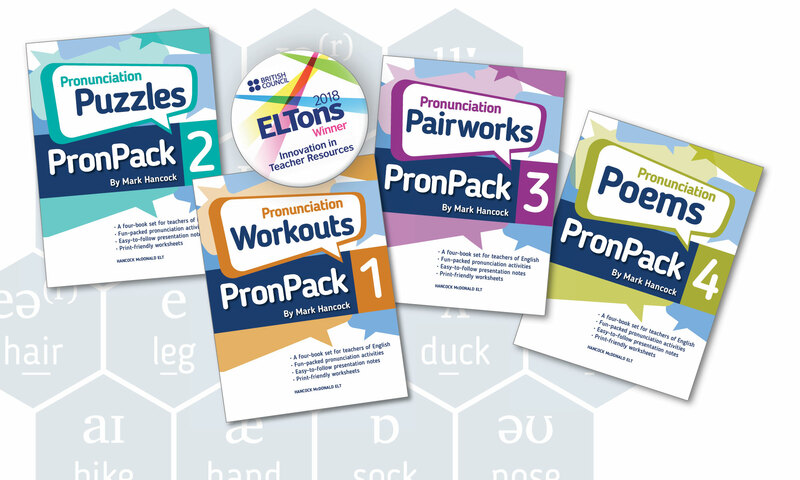 Mark Hancock started teaching English more than 30 years ago and wrote his first English language teaching book – Pronunciation Games – over 20 years ago. Mark has taught in Sudan, Turkey, Brazil, Spain and currently lives and works in the UK. Apart from teaching and writing, he also presents at international conferences and leads on short teacher training courses. Visit hancockmcdonald.com/books to read about the publications below that Mark has written or co-authored. Check out Mark’s authors page on Amazon.com which includes links to printed versions of PronPack 1-4.